How do I test an emailed form? Created a form with your template, put it in Dreamweaver format (which I can't see any of my web design information after adding the form), and tested it in Safari. Not sure how to see if any of it went through, nor how to interpret the email settings window. By default, if you are logged in, the jotform creates an email notification to the email of the Jotform account. But it is advisable to check if it is properly set up. Sender name can be the name of the user filling in the jotform. For that please select the name field of your jotform. 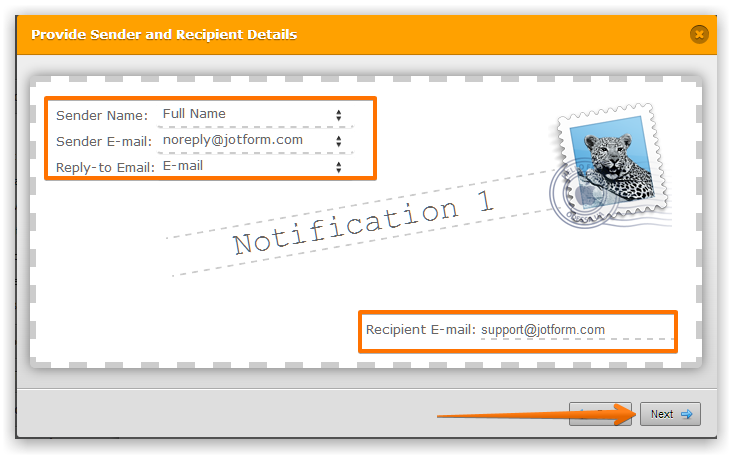 By default, sender email is noreply@jotform.com but you can add a custom sender email. If you want to be able to reply directly to the user you can select the email field in the"reply-to email" area. You can see here more details. To test it you can make a submission and then check your email inbox.